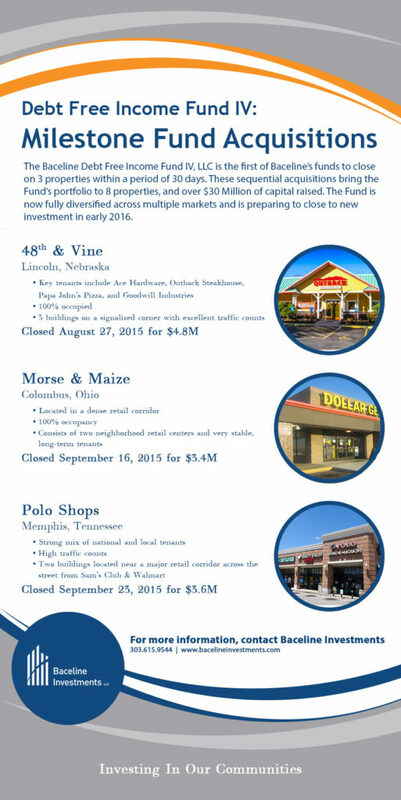 The Baceline Debt Free Income Fund IV, LLC is the first of Baceline’s funds to close on 3 properties within a period of 30 days. These sequential acquisitions bring the Fund’s portfolio to 8 properties, and over $30 Million of capital raised. The Fund is now fully diversified across multiple markets and is preparing to close to new investment in early 2016. See our announcement above for details on these exciting acquisitions!